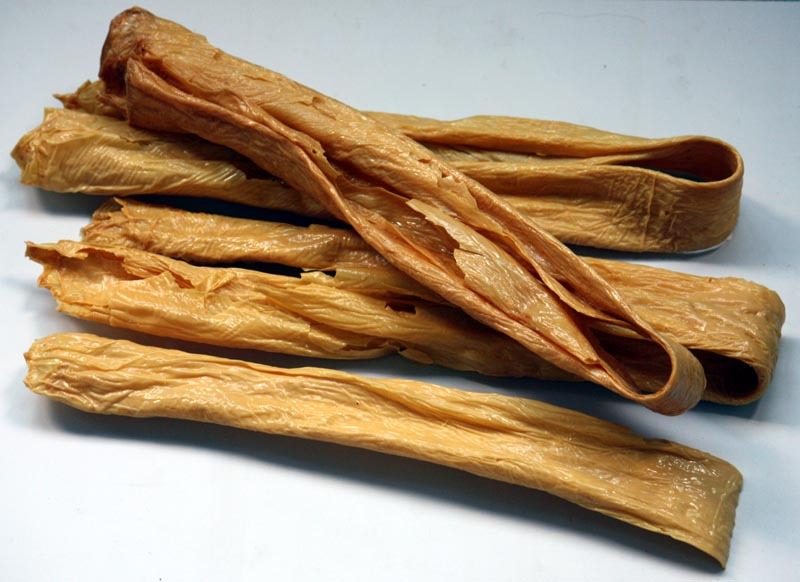 Fu zhu (腐竹, literally ‘bean curd bamboo’) is made by boiling soy bean milk then letting a skin form on top. This is drained off and left to dry in tight rolls. 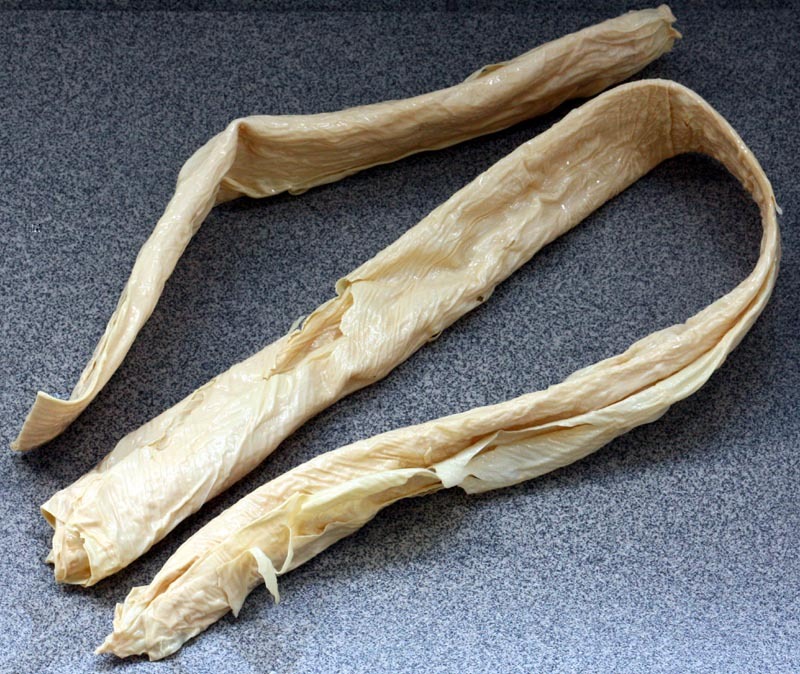 The resulting fu zhu is a protein packed, slightly chewy ingredient in stir fries, hot pots, soups etc. It is also a key ingredient in the local speciality noodle dish, luosifen (螺蛳粉). Dried fu zhu must be soaked for several hours before use. It is then cut into pieces (around 1 to 3 inches long) before being simmered for around half an hour. Like tofu, fu zhu absorbs the flavours of whatever it is cooked with.
. This entry was posted on Friday, October 4th, 2013 at 7:00 am	and is filed under Food and Drink, Friday Food, Luosifen. You can follow any responses to this entry through the RSS 2.0 feed. Both comments and pings are currently closed.